Things are getting a little hotter around here! QSource.com has added an extensive selection of Steinel® heat guns, gas torches, and related accessories. 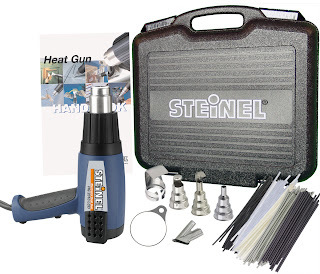 QSource.com offers a wide range of Steinel Heat Guns. Whatever your project, we can help you bring the heat. QSource.com offers the best of Steinel's products for electronics, aerospace, medical manufacturing, plumbing, soldering/desoldering, camping, dental work, automotive repair, and more. Our site features some of the most popular heating tools available including the Steinel HG 2310 LCD Programmable IntelliTemp™ Heat Gun, the Steinel TT 270 ThermaTorch™ Gas Torch, and the Steinel HB 1750 Heat Blower. Visit the Steinel page on QSource.com to check out all of their "hot" products. If we don't have the exact part you're looking for just give us a call (800-966-6020) or email us and our helpful experts will find it for you. Steinel America, Inc. produces a complete line of heat tools: butane torches, heat guns, soldering irons, and glue guns. Their American offices are located in Bloomington, MN. Steinel Heat Guns are idealy suited for Heat Shrink Tubing. If you are looking for Zeus® PTFE Light Wall 2:1. PTFE Standard Wall 2:1, PTFE 4:1, FEP 1.6:1, FEP 1.3:1, PTFE-FEP, or Raychem Polyolefin Shrink Tubing please consider Component Supply Company. O.C. White's Green-Lite LED Magnifiers shine bright, clear light wherever it's needed. Now, their exclusive "Awareness Pink" model is helping to focus that light on a really great cause: breast cancer awareness. From now until November 30, 2011, Q Source, Inc. will donate $10 from the sale of each O.C. White "Awareness Pink" Green-Lite Rectangular LED Magnifier to The Breast Cancer Research Foundation (BCRF). The "Awareness Pink" Green-Lite Rectangular LED Magnifier (Model #: 82400-4-Pink; Q Source #: O003-000297) offers the same great qualities as O.C. White's entire line of Green-Lite products. This ESD-safe and RoHS-compliant magnifier features "next-generation" surface mount LEDs, which help consume less power, while producing more light (the 8-watt LED array produces light output comparable to a 150-watt halogen), less glare, and longer-lasting performance. Proudly made in the USA, O.C. White's Green-Lite Magnifiers boast a best-in-the-business 10-year mechanical warranty, a pro-rated LED warranty of 5-years/50,000 hours, top-of-the-line energy savings, a quick return on investment, and lower total cost of ownership. The O.C. 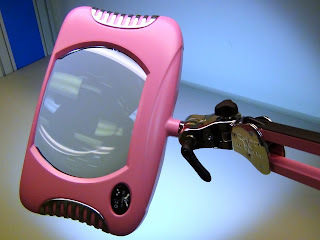 White Green-Lite LED Magnifiers have been available in a variety of colors, but there wasn't a pink option. 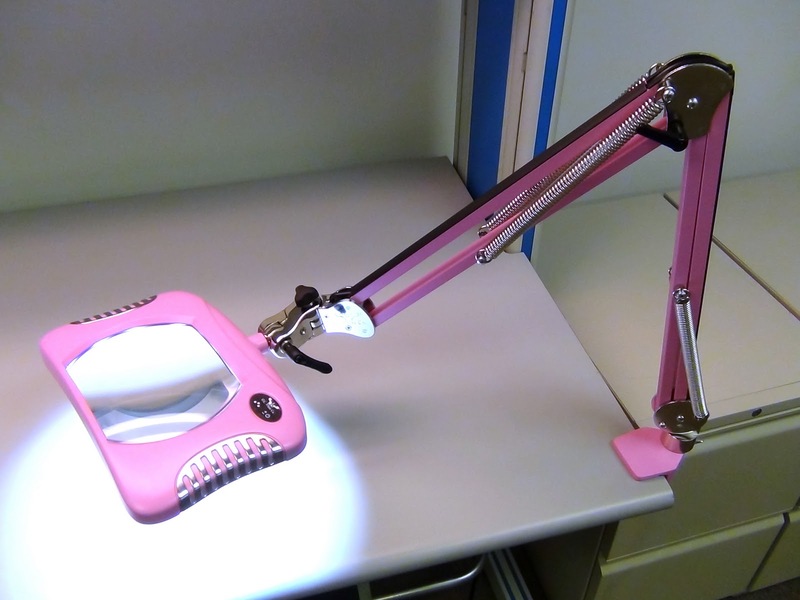 After listening to their customers' requests, and wanting to recognize National Breast Cancer Awareness Month, the "Awareness Pink" model was born. The American Cancer Society has estimated that more than 230,000 new cases of invasive breast cancer will be diagnosed in American women this year, and that almost 40,000 women will die from the disease (men are also vulnerable to breast cancer with 2,140 new cases and 450 deaths projected for 2011). The Breast Cancer Research Foundation, based in New York City, was founded in 1993 by Evelyn H. Lauder with the intention of bringing about a cure for breast cancer in our lifetime. 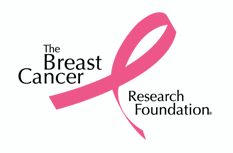 The BCRF provides critical funding for innovative clinical and translational research at leading medical centers worldwide, and works to increase public awareness about good breast health. Receiving consistently high ratings from both Charity Navigator and The American Institute of Philanthropy, the BCRF directs more than 90 cents of every dollar donated to research and awareness programs. Q Source is proud to donate to such an impressive charity, through the sale of such an exceptional product. You can help us make this promotion a great success with your purchase of one or many of these groundbreaking, new Green-Lite LED Magnifiers from O.C. White. All you have to do is buy your "Awareness Pink" Green-Lite through Q Source and we will make the $10 donation to the BCRF. To make a purchase, please visit our O.C. White Green-Lite Store at QSource.com, or give us a call at 800-966-6020. For more information about O.C. White Green-Lite products and/or The Breast Cancer Research Foundation, please visit their respective Web sites. InterMetro (Metro) wire shelving products are a cost-effective solution to all your storage, transport, and material handling challenges. In this new "On the Bench" step-by-step tutorial, we show you how simple it is to build your own Metro Super Erecta® Mobile Shelving Cart using Super Adjustable 2™ wire shelves. Q Source, Inc. is proud, and very excited, to be debuting our new full-size display booth at two upcoming trade shows. The completely redesigned booth features a video display showing original informational videos, vendor literature, and an array of quick response (QR) codes for easy access to everything Q Source. Visitors will be able to simply walk up to our booth, scan the appropriate QR code, and be automatically connected to the information they seek. Check out some of these sneak preview photos and then come out to the Long Island SMTA Expo and Technical Forum in Islandia, NY and the INTERPHEX Puerto Rico Show and see the new booth in person. The Long Island SMTA Expo and Technical Forum updated their schedule with the addition of five technical sessions. 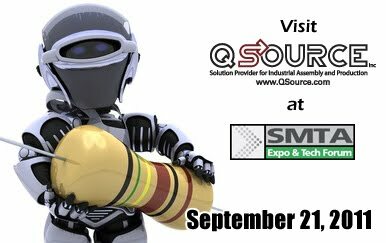 Please visit our Facebook event page for more information about Q Source and the Long Island SMTA Expo and Technical Forum show. The Surface Mount Technology Association (SMTA) is an international network of professionals working to share practical experiences, develop skills, and create solutions in the electronic assembly industry. In this video, Q Source introduces you to the all-new Swanstrom M-Series Medical-Grade Cutters. These revolutionary, long-lasting cutters are suitable for cutting Nitinol, Tungsten, Vectran, piano wire, and stainless and are designed with medical device manufacturers in mind. You can learn more about the M-Series of cutters from Swanstrom Tools in our previous blog article or on our website in our Swanstrom M-Series Cutter Department. Looking for NiTinol or other wire products? Please consider Component Supply Company. Q Source has "cut" to the head of the line with this exclusive first look at Swanstrom Tools' new M-Series Medical-Grade Cutters. These amazing tools provide longer-lasting performance and precision results for all hard wire cutting applications including: Guide wires, stents, catheters, stylists, mandrels, braided mesh, single/multiple fliers, and lateral/internal cuts. Offered with a choice of head shapes, handles, grips (including ergonomic), and cutting edges, the Swanstrom M-Series Medical-Grade Cutters are suitable for working with a variety of materials including: Nitinol, piano wire, tungsten, MP35N-V, stainless 303 through 316, 17-4 stainless, gold, platinum, coated materials with PTFE (Teflon), and Vectran®. These ESD-safe cutters feature full polish radius edges with a low-profile screw system and multiple open stops. QSource.com has them available with a choice of beveled, flush, full flush, and semi-flush edges. 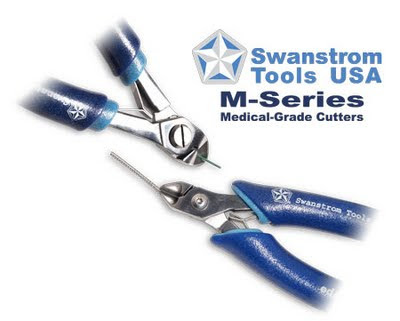 We're so excited to make these new tools available to you that we've created a Swanstrom M-Series Medical-Grade Cutters Department on the QSource.com Web page. Check out our Web page, take a look at our M-Series Flickr photos, and then give us a call at 800-966-6020 and let one of our experts help you find the right M-Series Medical-Grade Cutter for your job. Looking for 304 Stainless Steel or other wire products? Please consider Component Supply Company. Swanstrom Tools M-Series Medical-Grade Cutters, a set on Flickr. Q Source got an exclusive first-look at the revolutionary M-Series medical-grade, hard-wire cutters from Swanstrom Tools. As we approach the 10th anniversary of the tragic events of September 11, 2001, Q Source would like to take a moment to remember the nearly 3,000 people, including the more than 400 firefighters, EMS, police, and port authority workers, who died in the terrorist attacks that day. Our thoughts and prayers go out to the victims and their families. We'd also like to express our gratitude to the brave and talented soldiers, police, and first responders who put themselves in harm's way each day to guard our shores and ensure our safety. A simple thank you is not enough to acknowledge your selfless, heroic actions. Get a grip on this! 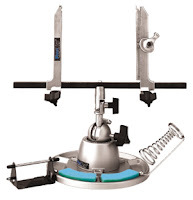 QSource.com now offers a versatile selection of PanaVise® products. If you need a work-holding device of any kind, we've got it! You'll find a wide choice of PanaVise products such as the PanaVise 201 PV Jr., the PanaVise 301 Standard (the original small vise), and the PanaVise 324 Electronic Work Center. 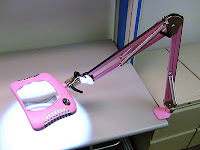 QSource.com has work-holding solutions for a wide range of tasks including: arts and crafts, hobbies, jewelry/model making, electronics, soldering, and more. Stop by the PanaVise page on QSource.com to check out our product offerings. And remember, if you can't find it on our Web site just give us a call (800-966-6020) or email us and we’ll get you what you need. PanaVise Products, Inc. is a leading manufacturer of work-holding tools, precision vises, circuit board holders, and mini arbor presses. 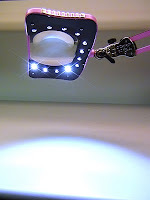 They also design and manufacture mounts for mobile electronics, CCTV cameras, home theater, and specialty/OEM projects. They are headquartered in Reno, NV. Electronic devices dominate our world. Most of us spend much of our time using a cell phone, MP3 player, or computer monitor on a daily basis. But how much time do we spend protecting ourselves from the germs and bacteria those devices are exposed to? 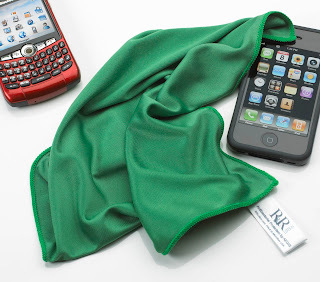 R & R Lotion's new Antimicrobial Microfiber Cleaning Cloth offers a quick and easy way to simultaneously clean and stops the spread of 99.9% of germs on cell phones and other electronic devices. The 12" x 12" antibacterial/antimicrobial wipe clears fingerprints, smudges, and bacteria while leaving the screen streak- and scratch-free. 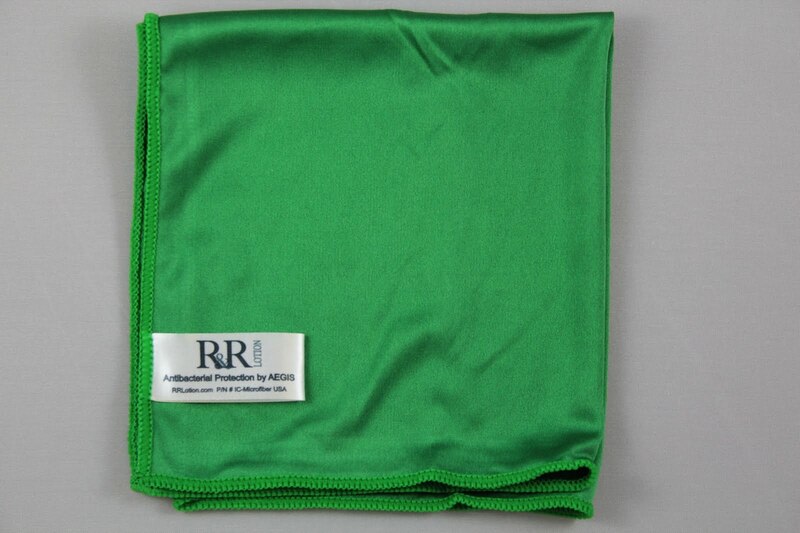 The Antimicrobial Microfiber Cleaning Cloth is small enough to be carried in a pocket or purse and inexpensive enough for businesses to distribute to entire departments or for each member of a family to have their own wipe. Each cloth is reusable and will retain its antibacterial properties for up to 30 washes. Germ protection is just a click or phone call away, visit QSource.com to purchase, or learn more about, R & R Lotion's Antimicrobial Microfiber Cleaning Cloth. Or give us a call at 800-966-6020 and talk to one of our expert sales associates. R & R Lotion, based in Scottsdale, AZ, is a manufacturer of hand lotions, hand cleaners, anti-static spray, hard surface cleaners, anti-bacterial products, and blue static-safe bottles. R & R also manufactures suncare products for outside workers. Metro Super Adjustable 2™ Super Erecta® Mobile Wire Shelving Unit, a set on Flickr. As you learned in a previous post, Q Source is a Metro Gold Elite Dealer. But we don't just sell Metro wire shelving products, we use them, too! Here is a Flickr Photostream of one of the Super Adjustable 2™ Super Erecta® Mobile Wire Shelving Units we use every day in our warehouse. If you'd like to build one of these units for yourself, here is a list of part numbers. Feel free to substitute different size shelves, posts, or casters to suit your needs. Everything can be found in the Metro Wire Shelving department on QSource.com. 2 x 5M - Super Erecta® Stem/Swivel Caster - Resilient Wheel Tread - 5"
2 x 5MB - Super Erecta® Stem/Brake Caster - Resilient Wheel Tread - 5"